I’m no frequent flyer nor do I possess a miles card to boast about but I’d like to write a Cebu Pacific review. It won’t be lengthy and wordy and I’d only write a few notes on specific features and factors about the flight, the plane, and the no-plain Jane stewardess staff. 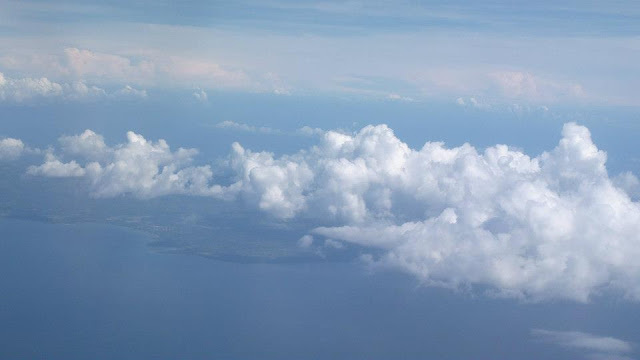 Thanks to a good weather, the entire flight encountered no air traffic or even minor bumps through the clouds. This airline company, like all others is obliged to follow international and local standards when it comes to air safety. All stewardesses are tall and pretty so they’re definitely no-plain Janes. But above all, their hospitality and accommodation aboard the plane and all throughout the flight is highly commendable. Cebu Pacific gives away free items when you participate in one of the guessing games. It’s safe, don’t worry. You stay seated, buckled up, and will only need to raise your hand and speak when called of course. You can easily book a flight online without the need to visit any tour company. Just be ready with your credit card for payments. Promo fares packages are available all year round particularly during off peak season travel dates, like say Boracay before Christmas. See Cebu Pacific Promos. That’s it! 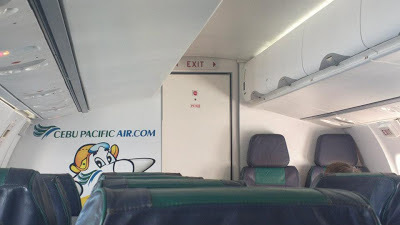 As promised, it’s just a brief Cebu Pacific review! See you around for more reviews.